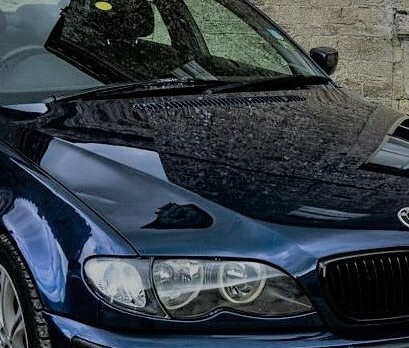 I'm looking to buy my first BMW and i actually just found one that i'm willing to buy most probably in a couple of weeks now and i would like to get some input from you guys if it will be wise to buy this car so any information will be very appreciated. The car i'm looking to buy is a 320d series M sport 2.0 litre Diesel and with a 58 plate and currently at 87000 mileage. the car has had two previous owners and is being sold for £7995 This car comes with Red Full leather interior. in general the car looks really nice with good bodywork too. What do you guys think? would you go ahead and purchase this car or not? maybe the mileage is too high? please help. If it's well cared for, with a full service history, then the mileage should not be a problem. Plenty of life left. Take it for a drive and see if you like it. Personally I don't think I would fall in love with the colour combination, but that's just down to individual taste. 2008 N47 with that mileage - just about ready for a timing chain. I'd only buy a car like this from a BMW main dealer with an extendable warranty. Too true - has it still got the dreaded swirl flaps in situ? If not at that mileage maybe be better to deflap! If you purchase the car from an approved BMW dealer you will get a fully comprehensive 12 month warranty, they also have to ensure there is a minimum of 4 mm per tyre. You should also be able to get them to include a free 3 years gap insurance. I have done this twice with no regrets, when the warranty expires as long as you have had it serviced by an approved BMW garage you can extend the warranty with BMW warranty and pay monthly. Even if the car has done over 100K miles you can still get major component warranty up to 150K. .................................. Even if the car has done over 100K miles you can still get major component warranty up to 150K. Can assure you Norrie that the Warranty Cost will not be cheap with 80/100k on the clock! Tried it a couple of years ago and the cost deterred me.